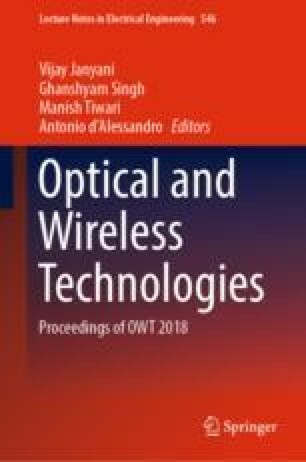 This paper describes the performance of minkowski patch antenna wherein the size of antenna is maintained at 60 mm × 40 mm with an overall area occupied by the antenna including substrate, ground and patch at 2400 mm2. A neutralization line is inserted between the two small microstrip patches by maintaining a separation value of 0.12 λ0 at the two edges of antenna. By using this type of technique, the electromagnetic interference between the antennas (mutual coupling) is strongly reduced at the resonant frequency of the proposed antenna with a value of 63.08 dB at 3.376 GHz and 49.23 dB at 7.216 GHz. The resonating frequency of the proposed design greatly improves the impedance bandwidth from 2.77 to 4.0 GHz is around 1.23 GHz and the resonate frequency from 6.94 to 7.55 GHz is around 610 MHz.